This device is designed as a monolithic structure and combined with a plug for an AC outlet, made in a plastic case. On the upper surface, there are indicators of operation and charge level, highlighted by a green diode, and a button for changing the mode. 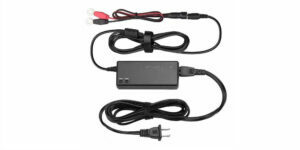 The LST has 3 types of cords with different connectors: clips for battery terminals, round terminals, and extension cable that can be connected to both types of connectors. 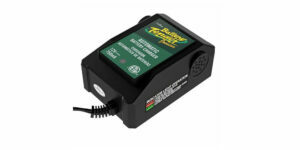 LST charger is designed to work with car, motorcycle, and ride-on toy batteries and copes with it well thanks to good specs. 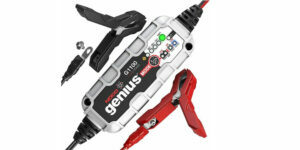 That is why this charger is in our main article which is aimed at choosing the best trickle charger for car. 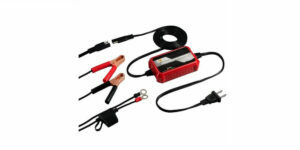 In this review, it is worth noting that the LST is equipped with a 4-step charge cycle with a current of 1.5A controlled by a microprocessor. Also, the charger has 2 modes of operation. 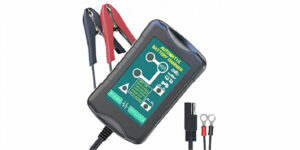 The device automatically detects the battery charge level and maintains the necessary current until fully charged. 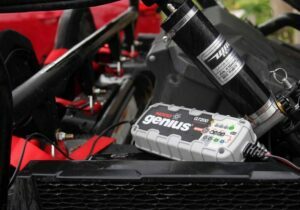 After the battery is fully charged, the automatic charging function switches to swim mode using the MCU. The case is assembled with high quality. Dust ingress is excluded. The charger is compatible with many types of batteries (SLA, ATV, AGM, GEL, CELL, Lead Acid Batteries). 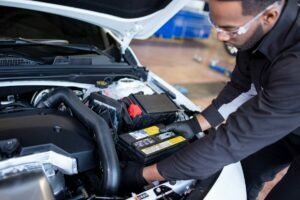 Charging large car batteries will be for long. 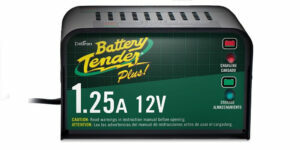 The LST 6V/12V 1.5A does not have to carry case and storage.